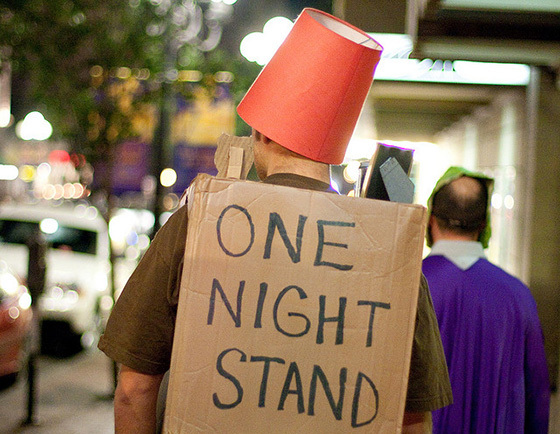 A conversion shouldn’t be a one-night stand. After the initial conversion, you need to continue to nurture that relationship. Image source. As marketers, we tend to spend a disproportionate amount of time focusing on creating customers compared to retaining customers. And while the latter may sound like the job of the customer support team, smart marketers understand that the two are linked. It isn’t enough for marketers to generate leads to grow the business; marketers are responsible for attracting qualified leads – and laying a solid foundation for an ongoing relationship that continues to generate profit after the initial sale. In other words, marketers are responsible for constantly optimizing for customer lifetime value (CLV). This doesn’t necessarily have to mean increasing your prices, reducing customer acquisition cost or offering more services. Sometimes, improving CLV is as simple as optimizing the systems you already have in place – from your marketing funnel to your customer support. After you secure a conversion – after people have invested time, trust and money in your business – they’re more likely to respond to a secondary request. Here are five powerful post-conversion strategies for boosting your customer lifetime value that you can start applying today. 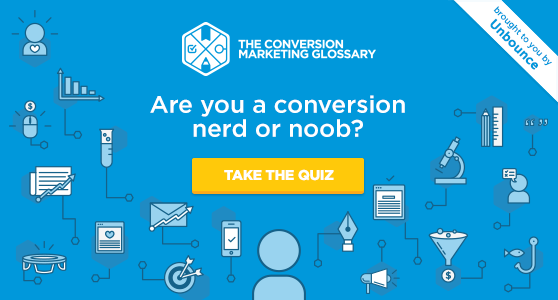 Your job as a marketer doesn’t stop after the initial conversion. If you’ve brought in qualified leads, the next step is to ensure that you have the systems in place to keep them happy – and convert them into repeat customers. In a study by Zendesk, consumers ranked quality (88%) and customer service (72%) as the two biggest drivers of customer loyalty. The importance of quality shouldn’t come as a surprise, but the emphasis on customer service is interesting; it’s rarely recognized as something so detrimental to developing customer loyalty and CLV. HubSpot provides a good example of the influence that customer service has on CLV. By measuring their managers on customer satisfaction metrics, they were able to almost halve their churn rate and double the lifetime value of their customers in just over a year. By measuring their managers on customer satisfaction KPIs, HubSpot increased their customer lifetime value (LTV on the graph above) by 215% in 15 months. Improving customer loyalty ultimately comes down to fulfilling your customers needs and while doing so, displaying that you care. The greatest product in the world still won’t attract loyal customers if the company treats them poorly. What could you be doing to improve the quality of your customer service? There’s a virtually unlimited scope to how you could do this. When you experience amazing service somewhere, consider whether you could replicate it in your company. Could you offer free upgrades? A quick phone call to check that the customer is happy with their purchase? Anything that shows that you’re going out of your way to improve their day will inevitably end up influencing your customer lifetime value in a positive way. Awesome customer service makes prospects more likely to buy from you again and again. 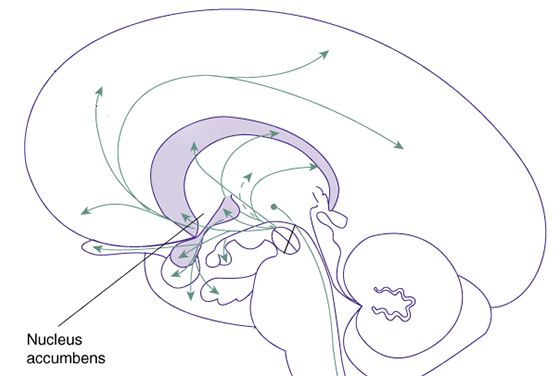 Before we buy something, an area in our brain called the nucleus accumbens increases neural firing. This makes us feel great because there are lots of dopamine receptors in that part of the brain, and dopamine makes us feel good in anticipation of an event. The dopamine receptors in the nucleus accumbens make us feel good in anticipation of an event – such as when we’re about to buy something. Image source. However, as soon as we’ve bought something, we begin to feel various forms of cognitive dissonance – commonly in the form of buyer’s remorse, where we feel our decrease in purchasing power and the opportunity cost of what we’ve just bought. It’s in this moment of dissonance that we can use the power of exceeding expectations to fire up our customer’s endorphins and make them feel happy again. A few years ago, I worked with a client on a deal for musicians, where we bundled hundreds of dollars worth of recording time and information products into affordable packages. After a customer bought the package, we offered them the chance to get an extra $100 worth of free products in return for a Facebook share. This resulted in over 250 Facebook shares, which referred 34 additional sales over the five days that deal ran for. Asking users to share the deal on Facebook referred 34 sales, driving over $2,000 in extra revenue over five days. By targeting customers with an unexpected extra at the moment they were likely to feel cognitive dissonance, we were able to reduce refund requests to zero, while increasing social shares. It also boosted the conversion rate of our other traffic sources from 5.6% to 8.3%. This was largely attributed to the fact that we were displaying a lot of social proof around the landing page’s calls to action. The more people who shared the deal post-conversion, the more popular the deal appeared for potential customers. How do your customers feel immediately after they’ve paid for your product or service? The more price sensitive your customers are, the more likely it is that they’ll feel some form of cognitive dissonance. Are the ways that you could counter this by surprising your customers with something awesome? Even better, could you leverage this opportunity to get your customers to market your product for you – raising your CLV via a reduced customer acquisition cost? Constantly surprise customers with added value and they’ll thank you with more of their business. If you’ve ever booked flights online, then you’re familiar with upsells and cross-sells. According to a study of 176 airlines by Amadeus IT Group, airlines collect over $36 billion per year from upselling products like extra baggage, seat upgrades and onboard retail products. 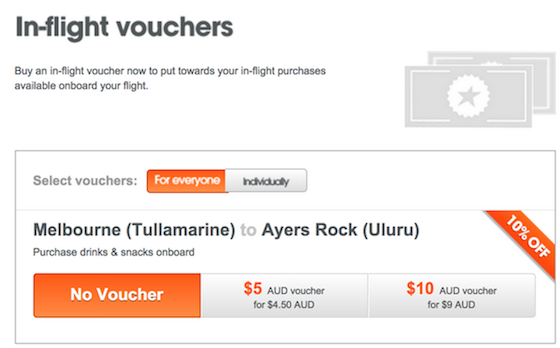 Out of curiosity, I counted the number of upsells offered while booking an air ticket on the Jetstar website. I counted 19 separate upsells, cross-sells and add-on-sells just in their booking process. But what is it that makes this favorite tactic of airlines so effective? In his TED talk, behavioral economist Dan Ariely explains some of the psychology behind upselling. One of the key components is the power of defaults. The graph shows the consent rates of citizens in different countries to donate their organs in the event of death. You also see the power of upselling at work when you buy a domain name through a registrar; you’ll find that email and whois protection is added to your basket by default. You have to make a conscious decision to remove it if you don’t want it. Pretty simple, yeah? Well this is only one piece of the upselling puzzle. Another psychological aspect of upselling is price anchoring. If you’ve just paid $500 for a plane ticket, it seems relatively insignificant to pay an extra $10 for on-board entertainment. If, however, you’re already onboard and have $10 in your wallet, it may seem relatively expensive to pay $10 to watch a film for an hour. As humans, we’re pretty awful at evaluating prices by intrinsic value. Instead, we’re good at evaluating price in relative terms. Consider what you can upsell by default. Invite the customer to “opt out” instead of inviting them to opt in. Consider how your customers are evaluating the decision. What anchor are they using to decide whether you’re cheap or expensive? Can you influence this? What anchor do prospects use to decide if your price is fair? Can you frame your offer differently? In two years, marketing automation has grown from being a $500 million industry to a $1.2 billion industry. One of the key drivers behind this growth is the impact that marketing automation has on boosting CLV. There are a handful of reasons why marketing automation is so powerful, but ultimately it comes down to the fact that it makes personalized marketing really easy. The more personalized a company’s marketing is, the more relevant it is. The more relevant an offer is to a potential customer, the higher the likelihood of a conversion, and thus more potential revenue per customer. One of my favorite case studies of this in action is by a wedding invitation company called PaperStyle. 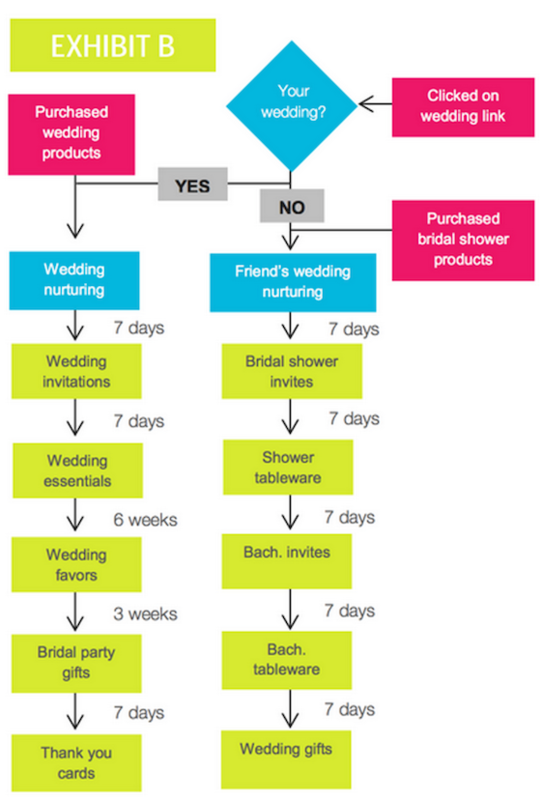 By segmenting their visitors into brides and friends of brides, they were able to create email sequences that took them through the whole process of planning a wedding, upselling the right products at the right time. This level of personalization raised their revenue per mailing by 330%. Create a flowchart like the one above to understand what your customers will likely want and need at different phases. This immediately frames your relationship with your customers as less of an event, and more of an ongoing journey. From here, you can plan an email sequence that upsells and recommends different products and services at different stages, based on behavioral and action-based triggers, such as visiting a specific page or clicking on a button. How personalized is your ongoing communication with customers? Conversions aren’t a 1-time event. For many businesses, feedback is more valuable in the short term than revenue. Yet, for some reason, too few businesses proactively collect it. When I launched MusicLawContracts.com several years ago, I couldn’t figure out why we were getting so many refund requests. After installing a chat plugin called Olark, it became clear that our customers thought they were actually buying actual (signed) contracts with record labels… for $19.99! The pop-up chat box in the bottom right hand corner helped us determine why we were getting so many refund requests. 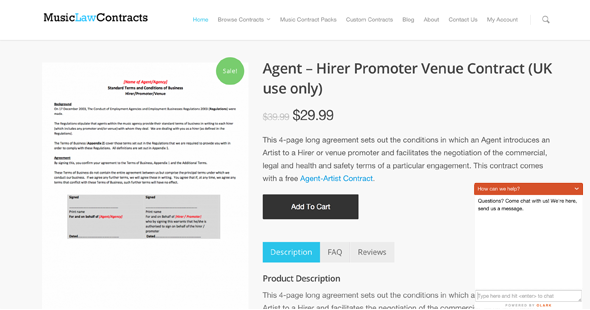 In reality, the website offers music contract templates. By adding that one word, we dramatically reduced refund requests. Since then, I’ve tried to make it standard to incentivize feedback from all customers and visitors pre and post conversion. While this example is pretty extreme, it’s not quite as amazing as a story I heard a few years ago from a friend about the Disney website. Apparently, the team behind Disney’s website couldn’t figure out why kids were creating ridiculously long passwords with 40+ numbers and letters. Did they really think their flash game scores were going to be hacked by international cyber-hackers? It turned out that the kids had misinterpreted the instruction “passwords must contain at least six characters,” thinking that it had to contain the names of at least six Disney characters! Regardless of whether this anecdote is true, the message is powerful: your customers can tell you things about your business that you hadn’t realized – and the more information you proactively gather from customers, the easier it is to improve your campaigns and find new ways to satisfy their needs. Let your customers tell you how you can improve your products for them. As a marketer, you’re responsible for nurturing prospects at each stage of the customer lifecycle – including after the initial conversion. Being mindful of a customer’s experience post-conversion will give you the information you need to dramatically improve customer lifetime value. The first step in growing your CLV is to know what it is – so pull out a pen and paper and crunch some numbers. As Tony Robbins says, “Where focus goes, energy flows, and results show.” Unless we proactively measure it, it’s unlikely we’ll consistently be able to grow our CLV. From here, it’s all about experimentation. Experiment with upsells, personalized marketing and everything else in this post. Some things will work and some won’t – you really just need to throw a decent amount of spaghetti at the wall. Marcus Taylor is the founder and CEO of Venture Harbour, a digital marketing studio that builds and grows a portfolio of online businesses, as well as helping other companies grow theirs. You can find Marcus on Twitter and Google+.